Not long ago, when the west was a little wilder, the Underground Market was the place to go to find the next big thing in food. Founded by Iso Rabins, the monthly market showcased unknown (and uncertified) chefs, offering an up-close look at what was happening in the Bay Area food scene. Things are decidedly more above ground now at Forage Kitchen, the Oakland commercial kitchen and food biz incubator Rabins started with Matt Johansen, one of the founders of the Biergarten in Hayes Valley. Never fear though, the offerings are still just as eclectic and delicious as ever. 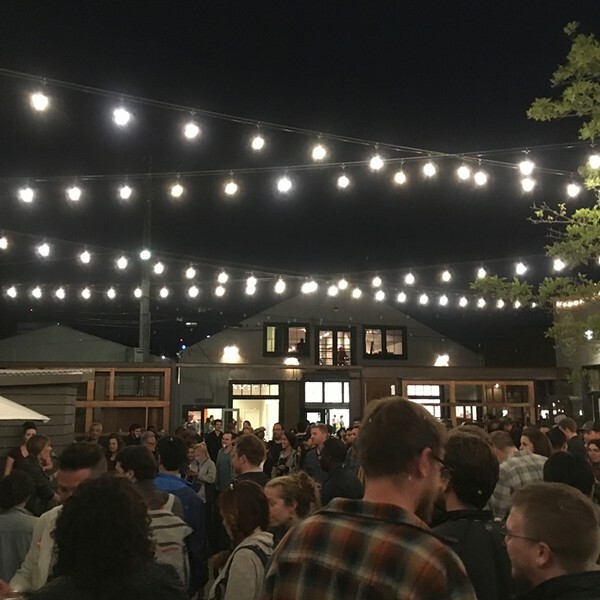 Relive the heady underground days of times past at Forage Kitchen’s BatchMade Market, your chance to taste what’s cooking in Oakland every first Friday. Enjoy blackberry-thyme chicken ’n’ waffles or jambalaya mac ’n’ cheese from Samara Southern Creations. Try Roux and Vine’s grits, with either shrimp or oxtail, or Hi/Lo Catering’s totopos divorciados. Grab a beer and try ’em all — for one night, you get to be in the middle of everything.